Richard Branson's supersonic dream is closer to takeoff. The billionaire founder of the Virgin Group teamed with a Denver startup called Boom to unveil the prototype for a supersonic passenger plane that can cruise at 1,450 mph. 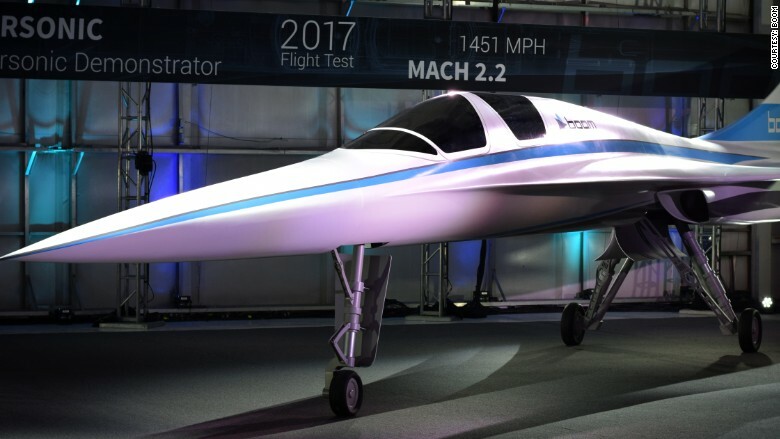 The XB-1 Supersonic Demonstrator, nicknamed Baby Boom, is a smaller but technically representative model for what Branson and Boom hope is the future of supersonic flying. They say it can cruise at Mach 2.2 -- Mach 1 is the technical term for the speed of sound -- and get from New York to London in three and a half hours, roughly half the time it takes now. Test flights are planned for late next year. The plane's prototype has been unveiled by Boom. The XB-1 is designed to be 10% faster than the Concorde, which offered supersonic commercial service until it was retired in 2003. A crash in 2000 killed 113 people. "Concorde's designers didn't have the technology for affordable supersonic travel, but now we do," said Blake Scholl, Boom's founder and chief executive officer. 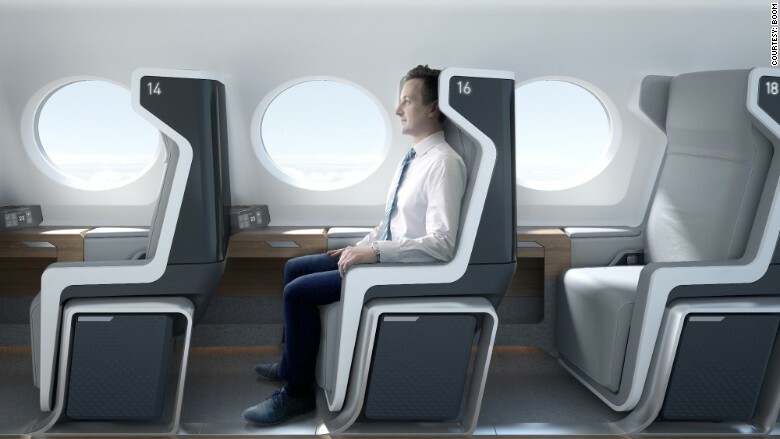 Related: Is NYC-London in 90 minutes a flight of fancy? Boom and Virgin said tickets for the New York-London round trip will be about $5,000. Boom said the aircraft will be able to carry up to 55 passengers. The companies have not announced a target date for the first commercial flight. The interior of the plane. Branson said Virgin Galactic's manufacturing arm, The Spaceship Company, will provide engineering, manufacturing services and flight test support to Boom. Branson also said the company has an option on Boom's first 10 airframes. An airframe is the mechanical shell of a plane. 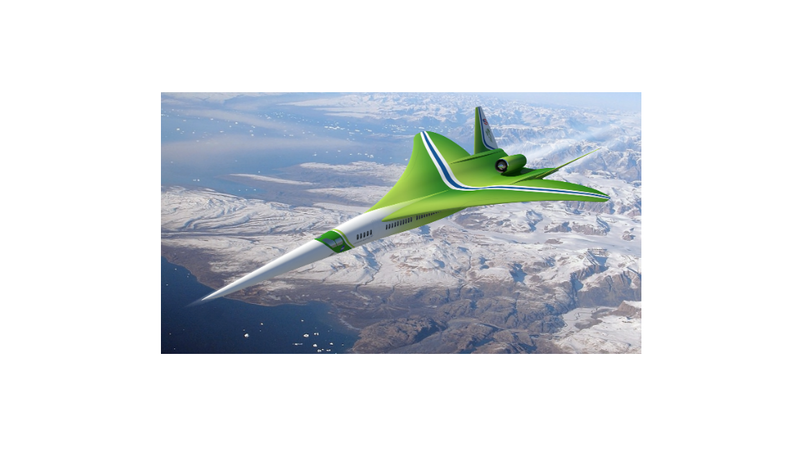 The XB-1 Supersonic Demonstrator is equipped with engines from General Electric and Honeywell avionics. -- Maureen O'Hare contributed to this report.